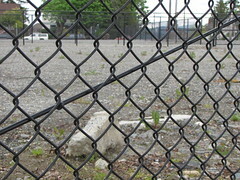 Could this empty lot next to Beacon Hill Station become a parking lot? Photo by Wendi. The next meeting of the North Beacon Hill Council is Thursday, June 3 at 6:30 pm in the Beacon Hill Library meeting room, 2821 Beacon Avenue South. The meeting is starting 30 minutes earlier than usual, and the Friends of Lewis Park are providing pizza and enchiladas. As always, all are welcome to attend; you are part of the council when you attend your first meeting, and you have voting privileges when you attend your second. A representative from the Seattle Department of Planning and Development (DPD) will be at the meeting to discuss the possibility of allowing temporary surface parking lots near Link light rail stations. It takes the entire community to make North Beacon the neighborhood we want to live, grow and thrive in. Many of your fellow neighbors are, and have been, serving on the Board of Directors for the North Beacon Hill Council, working to further your visions for our neighborhood. The council has openings for four new Board members. These positions are being created in order to help expand the board and increase its ability to serve the neighborhood in the many areas that are important to you. What does a Board member do? Board members contribute to the community and our Community Council by being involved in an area that interests them. One of our members monitors and coordinates with the police on issues of Public Safety. We have board members who maintain governmental relationships and another that acts as Treasurer. We have a web guru, and another is currently looking over our bylaws, with an eye to revising that which is outdated. And then there are city committees which originated with the Neighborhood Planning process. They include housing close to the light rail station, a strong neighborhood commercial district, a vibrant Town Center—with El Centro as part of it, and a neighborhood with parks and open spaces that serve its diverse community. So the question we have for you is, what would you like to contribute to your community? What is it that you want to see happen in our neighborhood? What is the special expertise you might lend the Board? Grant writing? Acting as Secretary? Being involved in bike/pedestrian activities? Parks development? Mixed use housing? Developing a Town Center? Helping to establish a business association? Music and the arts? Whatever your interest might be we want you! We request that those interested in running please prepare a one paragraph bio sharing with us what you’re interested in, and what you might bring to the Board. Please submit the bio to Matthew Stubbs via email (Matthew.T.Stubbs@gmail.com) These bios will be compiled and presented to the Members at our June meeting, at which time the greater membership of the North Beacon Hill Council will vote on these new board seats. A parking lot would be aweful! How about a Farmer’s Market instead? Or even better, let’s speed up the Neighborhood planning process. Why does it take a year to pass a new Neighborhood Plan with new zoning? Oh yeah, because it was delayed… and now a parking lot??? A parking lot next to the light rail station would be great. It beats nothing at all and it’s not like a parking lot would be hard to do way with if better use was found for the space. There’s enough farmer’s markets around the city and all of them are at least twice as expensive as MacPherson’s Fruit & Produce. Is the intent to abandon the station zoning overlay completely, or just sneak in this provision? THe allowance of parking lots on those properties is in direct conflict with the intent of both the pedestrian and station overlay restrictions on car-oriented land use. I wonder what the driver is for reopening the idea of park and ride lots near the light rail stations? Is this coming from the property owners looking for some income? Is SDOT going to discuss why this is necessary from their side, or is this simpy coming from the zoning side? Its typical to build a parking lot on land while waiting for the right time to further develop. There are many examples downtown where parking lots have given way to new buildings, and recently in Georgetown where Sabey has opted for a parking lot at the south end of their “Original Rainier Brewery” complex. It was going to be 4 stories of mixed use as of two years ago when they demolished the old cold storage building. And in the interim, Georgetown will have a”hybrid farmer’s market” on the parking lot. There is no rule that states that a Beacon Hill Market would have to be like every other market in town. It would be great to see something develop that utilized the small businesses like MacPherson’s that we already have here and gave them a showcase where they could broaden their exposure to the general public. My mom drives over from Alki at at least once a week to shop at McPerson’s, how many more people could our local businesses draw in from all over town if we gave them more exposure? Imagine a place where local restaurants could have feature booths like Taste of Seattle, local grocery stores could feature special produce, local musicians can play to larger audiences, etc etc. The people that would come here for a parking lot would be people that are going to jump on light rail to go to a Seahawks game or work downtown, not people that are going to support our neighborhood. It seems odd to create big parking lots in a residential neighborhood like Beacon Hill. Georgetown is not comparable as it is not a residential neighborhood. Airport Way near the big parking lot is a major arterial and those are commercial properties nearby. I also wonder if creating such a car oriented activity precludes or reduces the chance of a future pedestrian overlay for these properties. Once there is an established car use, that use is probably grandfathered in and exits and entrances will remain in the future. As opposed to what happens in a pedestrian overlay where car exits and entrances and auto oriented business enterprise is restricted. In the end, I have a hard time imagining train commuters paying Joe Diamond to park when there is free parking all over the place. The one time it might work is for Sounders Games or Mariners Games, but at those time even the restricted parking 28 zone isn’t in effect. That is why my street, 2 blocks away, has tons of cars on Sounders and Mariners game days. So what is the real deal being discussed, with whom and why? The other possibility is that developers nearby will lease parking from landowners near the station so they don’t have to shoulder the increased cost of building parking in or under their development. This creates a permanent revenue stream that may ensure the parking lots effectively never go away (10-20 years)and remain a blight, funded by next door development of businesses and residential units. I noticed in the DPD presentation they propose a pedestrian overlay for 14th at Westview Apartments. This seems strange as 14th currently has no retail development and isn’t zoned for that (it is L3). But what if someone wanted to develop way more housing, say on what is currently parking space and also wanted parking nearby? Could work out great if they could just lease existing gravel lot parking nearby. Many possibilities. I would rather see the City buy the lots right at the station for parks open space with food vendors (the Beacon Hill Central Park idea submitted to the opportunity fund) than see it go to parking lots. Personally, I’d rather see such valuable property developed into the sort of multi-story mixed use buildings you find in urban cores with density. When I try to picture an open space park around the light rail station, what I see in my mind’s eye looks more like a suburb than a city. I’m all for the food carts, but as long as there’s not enough density to support them as businesses, they will be nothing more than an enticing fantasy people use to win support for competing land use visions. An urban village park might have gotten support during the Nickels years, but things are different now. The fiscally prudent thing for the city to do would be to spend the parks money on land that isn’t as expensive as the lots around the station, and encourage development there that would add more money to the tax base. I’m not entirely sure about the long-term need for parking lots, especially if core density increases, but multi-story redevelopment of the Red Apple lot could include paid underground parking without having to adjust the pedestrian overlay boundaries. It’d be better than surface lots. Regarding David’s comments: Georgetown and Downtown are zoned such that pay parking lots are allowed. The BH Station block is within zoning overlays that were implemented with the specific intent of preventing the exact use that is being proposed. Again, it would be good to know the driver for this and what mechanism would be used to reduce the overlay restrictions and what the process will be to approve the variance or whatever mechanism is being used. I would agree with Freddie’s suggestion that once the parking lots are constructed, they won’t be coming out. That is the Beacon Hill way; as long as the parking is marginally profitable, there will be little incentive to commit the substantial investment to develop the mixed use construction even at a higher profit margin. I’m not sure of the details, but I would expect that you can’t just call a vacant lot a parking lot and be done with it. Substantial investment in surface prep, stormwater conveyance and treatment, entrance and exit siting, etc. will be required, most of which would be unnecessary for an NC65 construction within the pedestrian and station overlays. I have a question about the NBHC (forgive me if it is dumb). Do board members have to reside in North Beacon or can some of them come from other parts of Beacon Hill? @Brook, we are not talking about long term here, just short term until that space gets developed. Maybe I’m naive, but I think that there is plenty of pedestrian traffic there now to support food carts. Think of the other areas in the neighborhood where food carts are thriving such as the taco wagon on Rainier near Safeway, almost no pedestrian traffic but it’s almost always packed, or the guy selling cherries on Beacon near the golf course. Clearly there is a market. Chris, notice, it isn’t SDOT suggesting this, it is our friends at DPD. I don’t think SDOT would ever raise this idea because of course it makes their whole mission harder (increasing pedestrian and bike access). DPD is in conflict with the goals of program departments like SDOT and Parks and the City Comp Plan goals in a lot of their loony suggestions. Of course, SDOT, Parks and the neighborhoods get stuck with the crazy strategies they are coming up with. DPD needs a big fat budget cut if you ask me. Give the budget dollars to park maintenance and SDOT to fill potholes and build bike lanes. Sparky, I am not sure. Maybe someone else who knows can answer. @Joel, I just want to remind you that on the alley thread I was the one who suggested coffee or food carts as a short term solution. The problem is that time hasn’t stood still these past couple of months. The new coffee shop near the station (thank you Luis and Leona!) taps one potential market, the bistro going into the Culinary Communion space will compete for dining dollars, the pizzeria will compete for more. I think your examples are probably doing a lot more business with people who get to them by car than on foot. Rainier is a state highway with an enormous amount of traffic, and the cherry guy parks where he not only gets a lot of drive-by visibility, but also a ton of business from commuters working at the VA hospital, plus probably some from the golf course. In both cases, cars are important parts of the location’s success. The main problem with the central business district is that it was built for a streetcar suburb in which nearly everyone was funneled through a single route. It wasn’t built for a car suburb, but to a large extent that’s what the Hill is now. For a thriving business district the way people live in 2010, we either have to choose density or cars. We can’t will the streetcar patterns of life back. I think your Post Alley idea could work though, because it would nicely incorporate all the talk about a Farmer’s Market, a central park and uses for the Lander Festival Street. Picture the lots on the east side of the block developed to three stories, with housing on top, a mix of housing and offices in the middle, and on retail on the bottom. This mixed use development adds density to the neighborhood both day and night. Along the alley, the retail spaces are open to the air with rollup doors or shutters. Now, on the old Perry Ko’s lots, two or three permanent, securable, kiosk spaces are built right along the alley. They’re like carts, but they don’t have to roll away at night and they offer a little shelter from the weather. The rest of the space along Beacon is open plaza, and day carts could use them, but the main use is to give people a place to hang out. Now, the Festival Street becomes an extremely attractive location for a smallish farmers’ market, because it augments what’s already been built into the neighborhood. Between the increased density, the hang out part of the property and the weekly bump from the farmers’ market, the stall vendors stand a chance of staying business. To make it happen takes money and a long-term commitment. Figuring out how to do that and maintain a community focus is fun to think about. There’s probably a way to structure a non-profit to do it, but what I really like is the idea of a member-owned real estate cooperative developing it as a space they have a personal and financial stake in. At any rate, as fun as it is to think about, I’ve got too much on my plate already. But when I hear people say there’s no point in talking about what we’d like to see happen with private property, I feel like they are underestimating the options available. Really cool ideas Brook! Keep the vision! Real estate co-op sounds great. Is there a model out there? Has someone done this? Educate us. Co-ops are just businesses, usually corporations, that are owned by members. The profits get returned to the members instead of single owner, or a bunch of shareholders who may have nothing to do with the company besides owning stock. If you Google “Rochdale Principles” you can learn a lot about the structure of co-ops. In the real world these can take a lot of forms though. Probably the purest follower of the Rochdale Principles locally is PCC, but other co-op arrangements that follow at least some of them are credit unions, REI and Group Health. What makes any co-op work is the same thing that makes any business work: a solid business plan, appropriate financing and good management. Because members have a stake in the business, a successful co-op usually is fiscally conservative, and often consensus-driven, which can be a good thing or a bad thing depending on what needs to be decided. An unsuccessful co-op is usually a bunch of people splitting into factions and shouting at each other, and they don’t last very long. I wonder if there are a bunch of people who would form such a Co-op to develop on specific sites near our station. That would be an interesting effort.